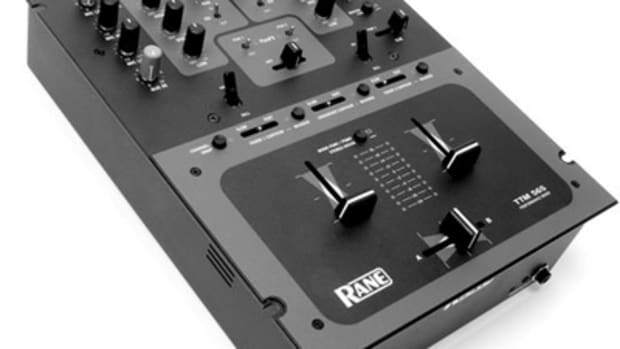 The Rane TTM-56 is known as the Best Mixer for Turntablists. With High quality sound output and extrodinary life, its rank is very high amongst all DJ&apos;s.
Before I begin this review, I would like to give a HUGE shout-out and thank you to Mike from RANE and the entire team involved with making this possible. 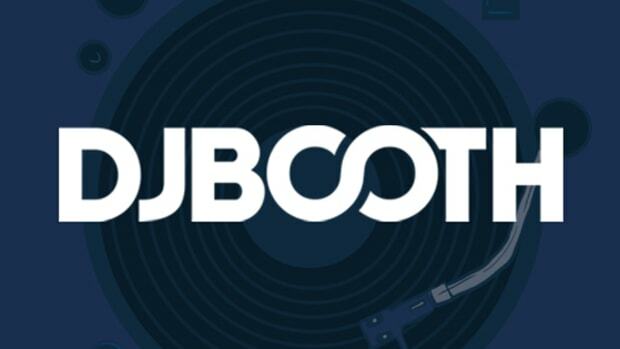 I would also like to commend you for sending me a brand new unit and getting it to DJbooth.net in a timely fashion. For this particular review I had to treat it as if I heard nothing about it before or haven’t used one before. I wanted to bring as little bias to the table as possible, but it is difficult when everyone refers to this mixer as the King of all battle mixers…. Right out of the box this mixer feels like a very heavy duty unit that can take some serious punishment. All of the knobs, faders, and switches are of the best quality and very, very sturdy. The whole unit screams RELIABILITY. The layout is the standard two channel battle style mixer with the channel one controls to the left and channel two to the right. This mixer is also very easy to use and only has the features that a scratch DJ would need. In other words, you won’t get overwhelmed with extra bells and whistle features found on some other battle models. It includes all the necessities with many options and variations of the same controls. 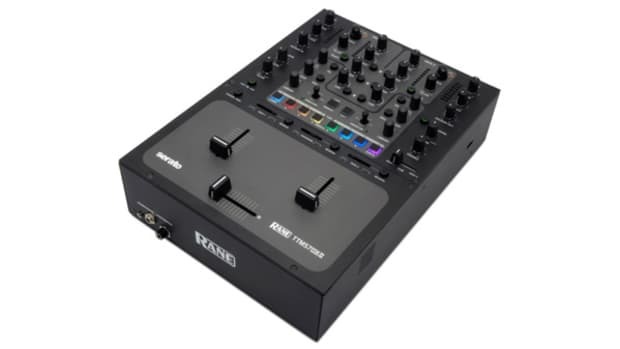 The crossfader and line faders are probably the most crucial components of a scratch mixer and the TTM 56 comes with Rane’s Magnetic faders. These Magnetic Faders are probably the fastest, smoothest, and most accurate faders in the business. I was able to pull of my crabs with great ease. My cuts were Right there on the money. The magnetic faders are also resistant to smoke, moisture, and wear-and-tear. These faders may very well last you the entire life of the mixer. It will take the punishment day in and day out. The actual feel of the fader is very silky-buttery smooth but my brother found it a little bit too light but he very quickly got used to it. 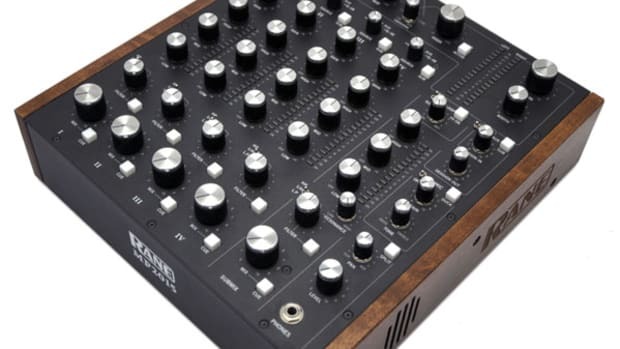 The Rane Magnetic Faders have some of the most accurate contours and features I have ever used on any mixer. The TTM 56 comes with the standard reverse capabilities and continuous curve control on all three faders. 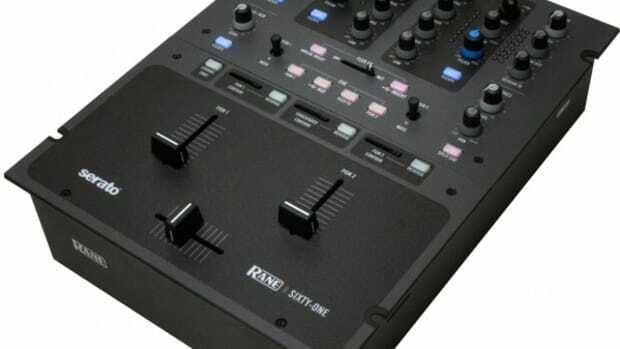 The exclusive feature on the Rane is the Mode Switch for the linefaders and crossfader. On the crossfader, using the Mode Switch will allow you to make a center-cut. For example, you will have your right channel on the right half of the fader, dead silence in the middle of the fader, and the left channel will play on the left half of the fader. On the linefaders, the Mode Switch makes a pan effect. The Mode Switch feature was extremely fun to use as a turntablist. I was creating all types of new sounds and it was like a breath of fresh air hearing something totally new every time. You also have a curve control for each side of the crossfader which are knobs labeled Contour A and Contour B. If you wanted to, you could have a sharp cut on one side and a long fade on the other. This is where the accuracy comes into play. If you set it at a sharp setting, the cut in time is right there on the money! As soon as you push your finger the slightest bit on the fader, you will hear sound. My chirp and crab scratches were very crisp and right on point. If you are in the mood for mixing, you can also adjust the curve accordingly and have a nice crisp smooth fade. The curve on the up faders are controlled by very small sliders (which is a good thing because they don’t interfere with scratching/mixing) which are just as accurate as the knobs for the crossfader. Each Channel also comes with a Left to Right Pan option and adjustable Transformer switches. The transform switches were very easy to grip and felt great to use with the best of sound quality while cutting. Each Channel has its own Gain controls and 3-Band EQ (which is full cut). All of the knobs for the EQ and Gain are made out of an easy-to-grip rubber material. The knobs also have a click at the absolute middle setting; making it easier to fine tune the sound. The knobs are almost perfect in size and distance from one another. Anyone with big fingers like mine won’t have a difficult time making adjustments to the EQ. Both Channels have a FlexFX which allows you to assign effects loop which is post-fader. The Wet/Dry pan lets you control how much effect is in the mix. This mixer also has two outputs which are Master Output and Aux Out which you can use for recording at different levels than your mixer is playing. There is also a Microphone Input with Microphone level knobs and also a 2-band EQ. The Headphone Cue system uses a cue fader for the left and right channels. In Conclusion…what more can I say? 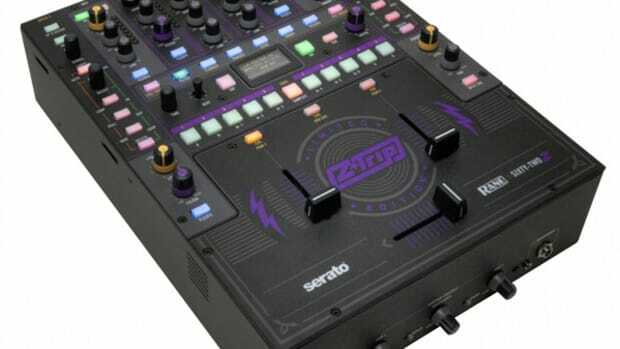 This mixer has definitely earned the right to be ranked amongst the gods of turntablism. The Sound quality of this mixer is superb. Everything about this mixer is Professional. From the easy-to-use layout, to the best fader contour control I have ever seen/used. The only gripe that I have with the TTM 56 is the price tag which is about $800US. For that reason, this mixer is aimed at professional users who definitely know what they want. I don’t want to deter beginners from this purchase because I honestly can recommend this mixer to anyone who can afford it. This is the best of the best and I think it is a great idea to start off with the best as well. This mixer is reliable and will provide you with years of use without incident. If you are serious about turntablism, then this is definitely one of your BEST options! If you are a DJ who likes to mix, use effects, and scratch a little bit, then it is still one of your best options!